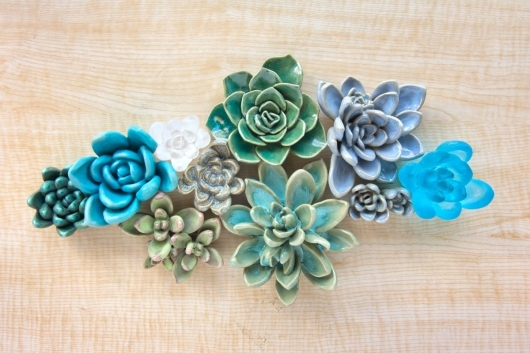 Unique, hand-sculpted ceramic and glass succulents gathered in a cluster. Individual succulents: 2.5" to 6" wide. Installation as shown: 10" x 20"